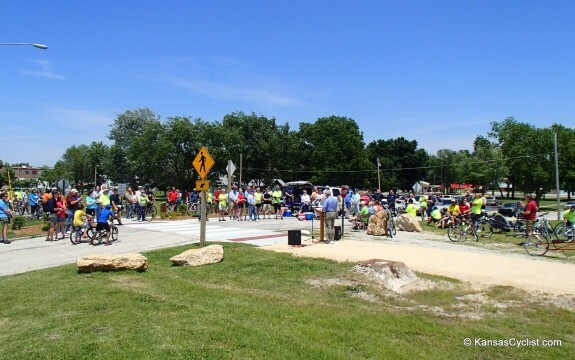 The Southwind Rail Trail held its official grand opening ceremony on June 8th, and there was a nice turn-out, with over 100 people present for the ribbon-cutting, most of whom stayed to walk and ride the train for the very first time. The Southwind Rail Trail is Kansas’ newest rail-trail, about 6.5 miles between Iola and Humboldt. 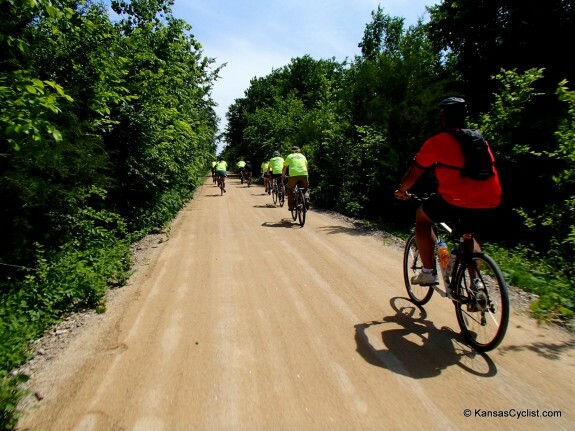 The Southwind Rail Trail connects to the Prairie Spirit Trail, making for an uninterrupted trail corridor of about 57 miles, or even more, if you connect with the Flint Hills Nature Trail in Ottawa. This is a portion of the crowd at the grand opening. 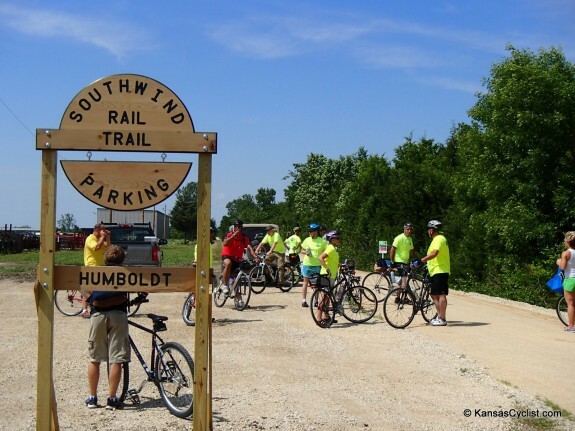 The event featured speakers from Iola, Humboldt, Allen County, Sunflower Rail-Trails Conservancy, and the Sunflower Foundation. This is the Elm Creek Bridge, a wonderful example of the strength and beauty of many of the old railroad bridges in Kansas. 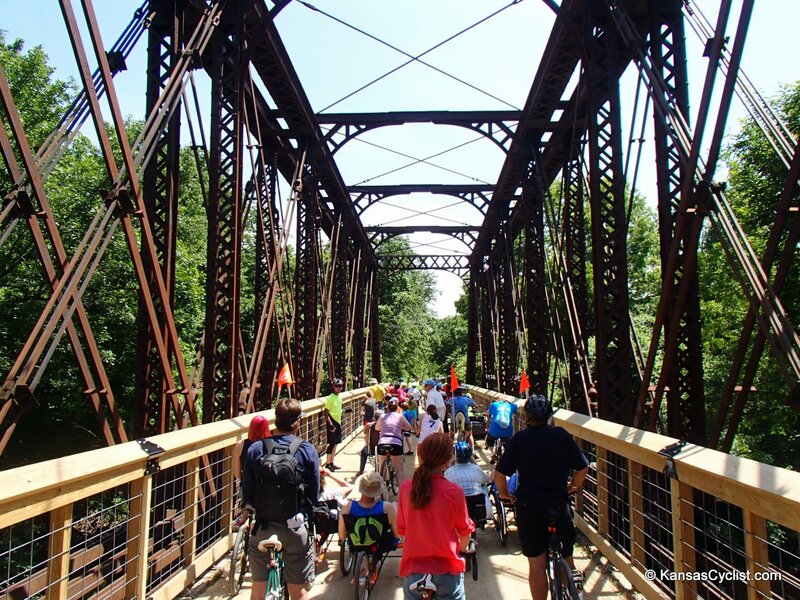 The railings are new, and were hand-crafted by a local artisan especially for the trail. The surface of the Southwind Rail Trail is one of the smoothest and widest I’ve ever experienced on a rail-trail. 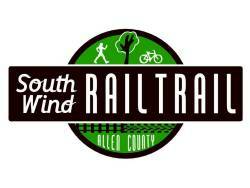 Kudos to the volunteers, and Allen County personnel for their outstanding work! 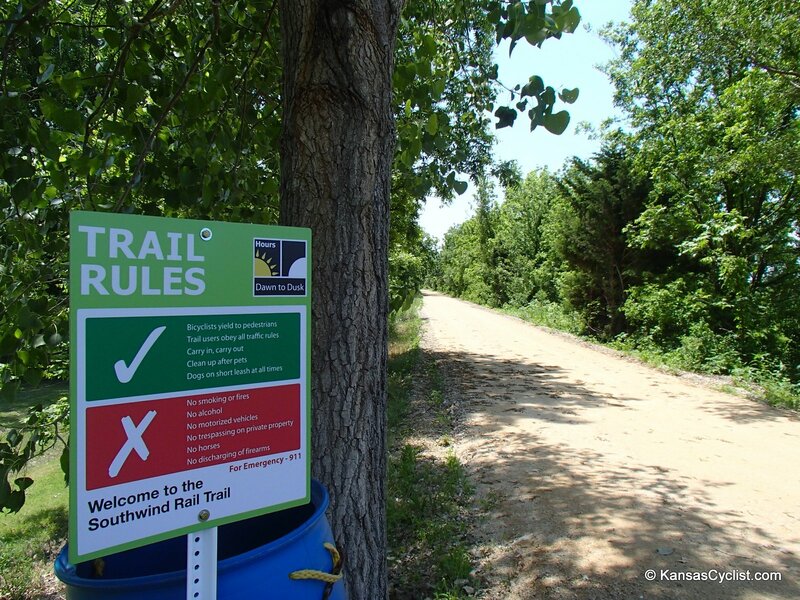 This sign explains the rules of the trail. 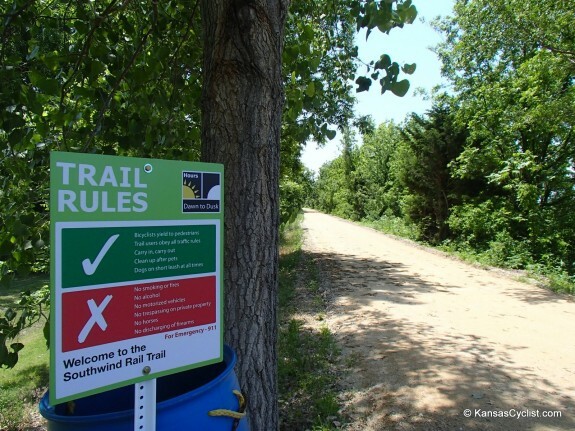 At Humboldt, there is a trailhead parking area. 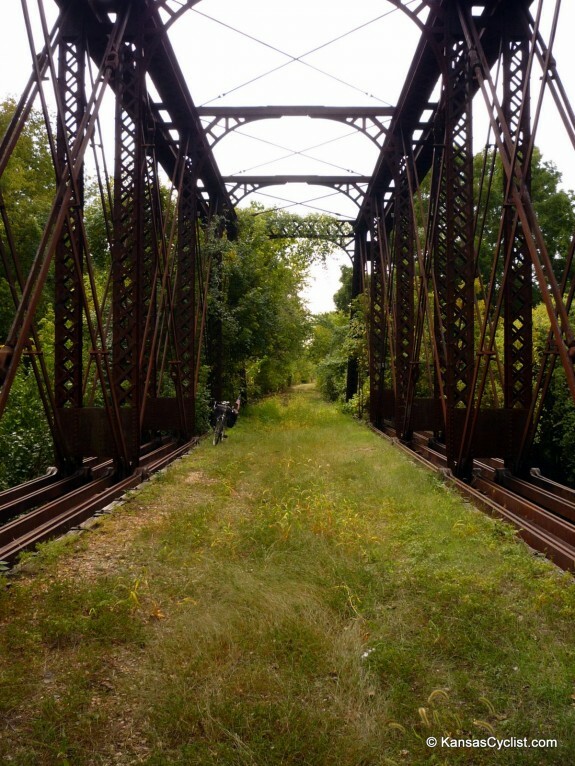 For reference, this is a look at the Elm Creek bridge in October 2012. At that time, the corridor had been cleared, but was still very rough in places. It’s amazing how much was accomplished in such a short amount of time.